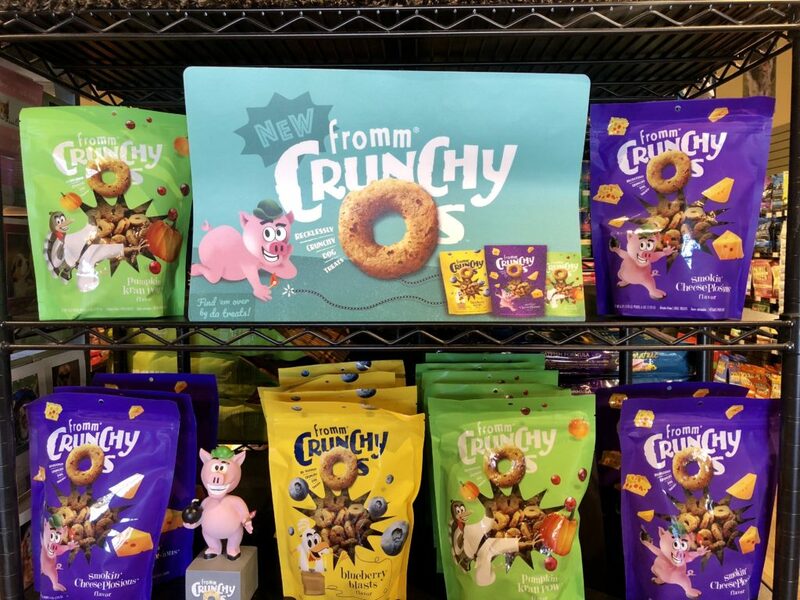 Try our new Fromm Crunchy O’s Treats! Super crunchy, made with wholesome ingredients and only 2 calories! Available in three great flavors: Blueberry Blasts, Smokin’ CheesePlosions, and Pumpkin Kran Pow.